With the Kuepper/Bailey reunion behind him, Saints, Laughing Clowns and Bad Seeds guitarist Ed Kuepper returns to NSW this November for three intimate shows on Thursday 11th: Sydney – The Vanguard, Friday 12th: Newcastle – Lizottes and Saturday 13th: Central Coast (Kincumber). The central NSW shows follow-on from a spot at on October 23rd at Lismore’s Northcoast National (think Sydney’s Easter Show) where Ed will appear alongside showgirls, a food expo, Bachelor of the Year, a Rodeo and so much more! Where to look? 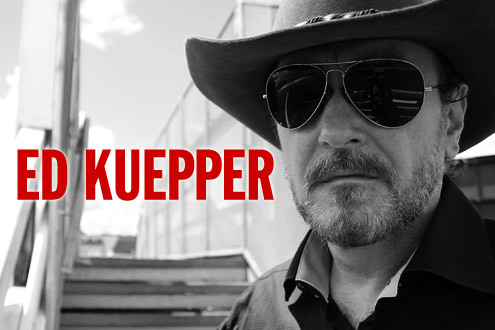 Mr. Kuepper will also be playing a very special one-off this September as part of the annual Brisbane Festival. A Brisbane resident himself, Ed will be joined on stage by Linda Neil (violin) John Willsteed (lap steel, bass and banjo) and a six piece choir all of which justifies the term ‘special’. Over 90 minutes: no support act and with one interval, Kuepper and co will be drawing on material from across Ed’s extensive catalogue as well as debuting some soon-to-be-recorded new material. Tickets for all shows are on sale now through the Lizottes website or the Vanguard’s website.